Bring your Tampa home into the 21st century with smart home system installation. A smart home is like a smart phone, full of features that can make your life easier, more enjoyable, and even safer. 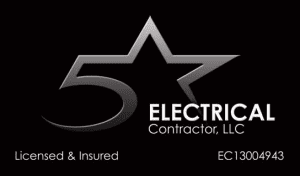 If you do not have any idea all that can be accomplished with smart home system installation, give us a call at 5 Star Electrical LLC. We will be happy to explain to you how your home can be wired to take advantage of the incredible capabilities a smart home has to offer. One of the most common benefits you can enjoy with our smart home system installation is increased security for your home. With remote monitoring and automation, you can know what is going on at your home at all times, even if you are hundreds of miles away. Gone are the antiquated plug-in timers to turn your lights on and off to make it look like you are home. Burglars long ago figured those out when a stakeout clearly showed the pattern of a non-tended home. With our smart home system installation, you can randomly manage your lighting so that it looks more like someone is there. With no patterns to figure out, you’ll keep them guessing! You’ll also save on utilities when away because you can put your home into an energy-saving mode while away, yet set it to comfort level so it is perfect when you return. It is always nice to return home from a vacation, but it is even better when the temperature and humidity level are the way you like them. These are just a few of the dozens of ways we can help you have the best experience possible with smart home system installation. If you are ready to bring your Tampa, Florida home into the 21st century, give us a call. We’ll answer all your questions and let you know the various steps we will take to make this valuable improvement to your home.